Quick update. After all that bravado about booking places at the last minute I found myself in a bit of a pickle of a jam, Slick Rick style. Tried to book another night where I am staying as I had only booked two but they had no vacancies for saturday. Tried about 3 other places but they were all booked up as well. So here is the new plan. Heading to Osaka and booking a night there but using the actual day to visit Himeji which is best done as a day trip anyway. 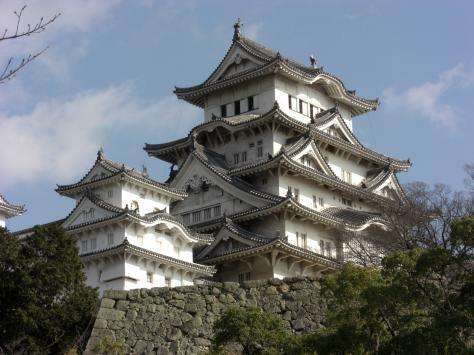 Himeji is home to Japans best castle. Spend Saturday night in Osaka which is one onf Japans better nightlife spots and then head back to Kyoto or maybe Kobe the next day. Will spend at least one more day in Kyoto before I leave. The beauty of the railpass comes into play once again. Everything in the Kansai region which is where I am staying now is all within 45 minutes of each other so not wating anytime, up earlier today than I would have been. Spending a day elsewhere will ensure I do not overdose on temples as well which might have happened. Will probably update later to let everyone know if everything went to plan.